Everyone loves the cloud. The cloud is the latest, greatest thing in IT and any business that isn’t currently using it plans to in the near future. Right? Everyone loves the cloud. The cloud is the latest, greatest thing in IT and any business that isn’t currently using it plans to in the near future. Right? Not really. As demonstrated by a new study from online/mobile security provider AVG Technologies, a lot of businesses, especially in the SMB sector, remain unconvinced that cloud-based services are a good IT option. A survey of more than 1,000 SMBs in the UK and US found just a quarter of SMBs had adopted some form of cloud services, while 17 percent of SMBs in the US thought cloud-based services were only for large companies. 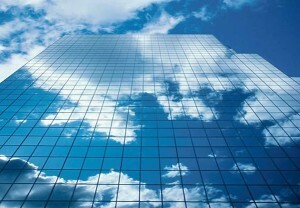 And more than one in four US SMBs (28 percent) said they do not understand cloud computing at all. For example, more than three-quarters of US SMBs (77 percent) say they are open to technology that makes their life easier, and are, in fact, dependent on large amounts of technology. More than 95% of US SMBs regularly use up to five pieces of technology in the course of their day-to-day work. Considering the potential complexity of managing all these disparate systems in-house, it is not surprising that more than four in 10 US SMBs (42 percent) spend up to four precious hours a week dealing with IT issues. In addition to the lack of understanding of cloud services, other factors causing SMB cloud reticence were cost (21 percent US), lack of trust (/18 percent US), and the belief the services are too complicated (nearly 10 percent of US SMBs). For those SMBs who do take advantage of cloud services, the most popular usages are sharing/collaboration tools (64 percent), storage (34 percent) and iPad/mobile apps (32 percent). So how do MSPs move forward in this SMB cloud environment so full of both challenge and opportunity? First, any SMB cloud sales pitch must start with some serious education. Before making any serious effort to convince an SMB client they should purchase cloud services, MSPs must ensure the client truly understands what cloud services are, the advantages they deliver, how and why they are just as or more secure than services based on physical servers, and of course how flexible “pay-as-you-go” pricing and shared public cloud models can bring the cost of cloud services within reach of most SMBs. In addition, MSPs should pay attention to what types of cloud services have proven popular among SMBs. While MSPs should not restrict their SMB-focused cloud services to sharing/collaboration, storage, and mobile apps, these technologies do make logical entry points for SMBs starting their cloud services journey. It is hard to see through a cloud, but clouds are also where dreams are made. Security seems to be the number one concern when small businesses consider shifting their functions over to cloud computing. I think its the idea of sharing space containing sensitive information with so many unknown entities. A secure co-location provided by managed IT services is a good compromise between the low cost benefits of cloud computing and the security of a private server. Cloud computing is an interesting technology,which will help to grow small business owners in all the way..So having knowledge about cloud computing will help us a lot..